This coming week which includes the Presidents Day holiday, is traditionally one of the busiest periods of the year for the IRS, with long wait times for individuals attempting to contact the IRS by phone. This year promises to be no exception. 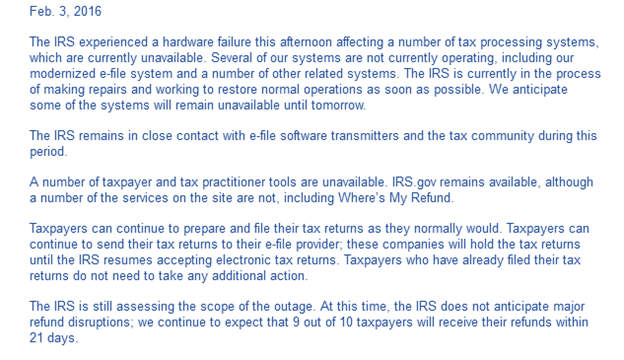 If anything, wait times should be even longer, if an earlier report from the IRS Taxpayer Advocate is to be believed. 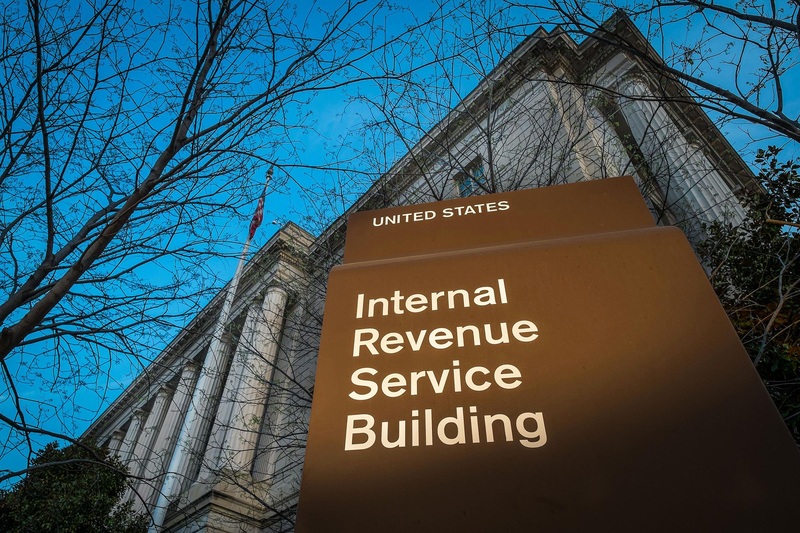 According to the report, the IRS has been severely hampered in its ability to respond to telephone inquires from taxpayers due to cuts mandated by the sequester. Coupled with the expected surge in phone calls during the Presidents Day holiday period, the result could be extremely long waits for anyone hoping to reach an IRS agent by phone. 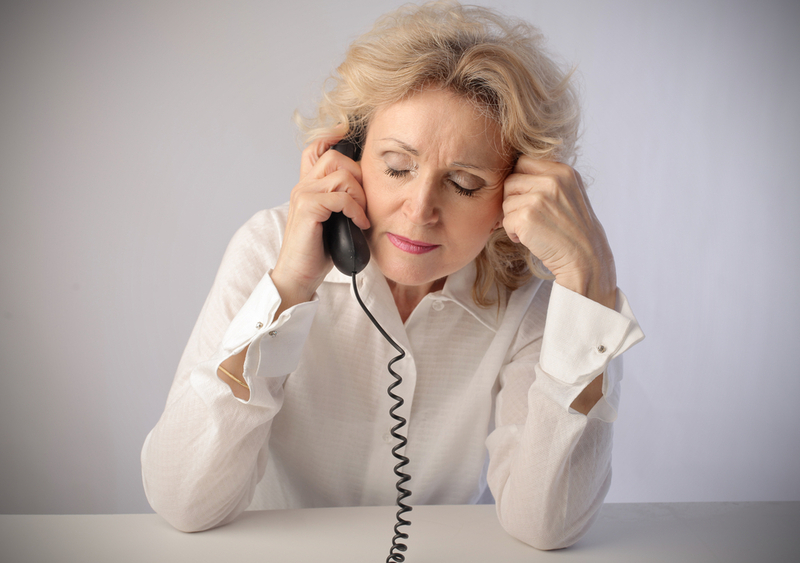 The advice from the IRS is simple: don’t call us. Instead, the IRS advises taxpayers that many of the answers they seek are available through the IRS.gov website, which operates 24/7 with no holds and no waiting. In fact, the IRS.gov website contains a wealth of information on subjects ranging from tax refunds to resolving overdue tax bills. The following list includes topics covered by IRS.gov. By checking out its resources, including 1040 Central and the IRS Services guide, you may save yourself from the frustrating experience of waiting, and waiting — and waiting – to attempt to reach an IRS agent by phone. If it’s been less than 21 days since you filed your federal income tax return, don’t expect an IRS representative to respond to inquiries concerning the status of your refund. Instead check out the Where’s My Refund tool on IRS.gov or via the free IRS2Go Smartphone app, available for iOS and Android mobile devices. Plug in info on your current, pending refund to obtain its current status. Status updates for “Where’s My Refund?” occur once every 24 hours, usually overnight, so checking once each day is sufficient. By law, employers are required to supply workers with W-2 forms on or before January 31 each year. If you haven’t received yours by the middle of February, check with your employer to determine if your correct mailing address is on file. If appeals to your employer don’t yield your W-2 form, by all means, contact the IRS, which will issue a letter to your employer. But it’s best to wait until after the Presidents’ Day rush if possible. In the meantime, you can begin working on your tax return by using information from your final pay stub from 2014. If you’re tearing your hair out trying to complete your tax return, but cannot afford a commercial tax preparer, don’t despair. Check out IRS.gov for a listing of volunteer tax assistance available to low income taxpayers and seniors. The Volunteer Income Tax Assistance (VITA) program provides assistance to taxpayers with income of 53,000 dollars or less, disabled individuals, seniors and taxpayers with limited or no English speaking ability. The Tax Counseling for the Elderly (TCE) provides assistance to all taxpayers, especially seniors age 60 or older, who have questions about pensions and retirement-related issues. 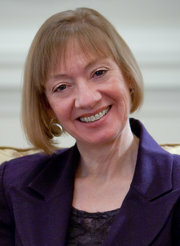 Information on both programs is available through IRS.gov. Individual taxpayers who owe 50,000 dollars or less or businesses that owe 25,000 dollars or less in combined taxes, penalties and interest are eligible to establish an installment agreement through the Online Payment Arrangement Application available on the IRS.gov website. 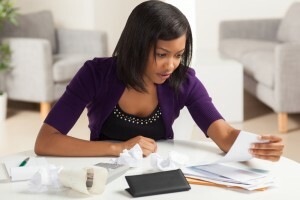 The fee for establishing an installment agreement is 52 dollars for direct debit, 120 dollars for standard or payroll deductions or 43 dollars for low income taxpayers. The system is available from Monday through Friday from 6:00 a.m. to 12:30 a.m., Saturday from 6:00 a.m. to 10:00 p.m. and on Sunday from 6 p.m. to Midnight. All times listed are Eastern Time. If you don’t qualify to apply online, you can still request an installment agreement by completing Form 9465 – Installment Agreement Request and Form 433-F – Collection Information Statement. Submit the complete forms, along with the fee by mail. You can also contact the IRS by phone at 1-800-829-4933, but again, it’s best to wait until after the holiday period to make the call. Even then, expect a lengthy wait. If you wish to establish an Offer in Compromise, the process is more complex. 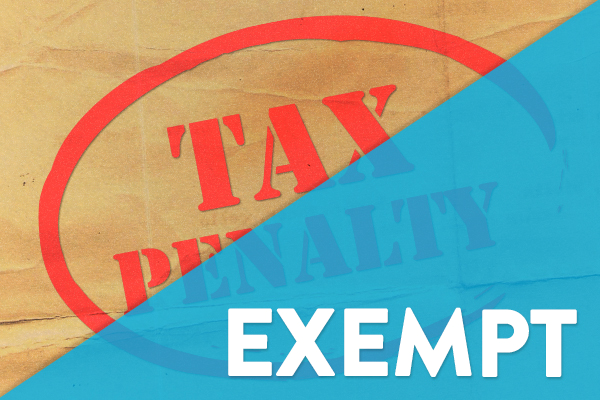 But you can determine whether you should even undertake the effort by utilizing the Offer in Compromise Qualifier available through the IRS.gov website. Bear in mind that even if the results indicate that you may be eligible, there is no guarantee that an Offer in Compromise will be approved. If you are missing crucial information from a prior year tax return, you can request a replacement copy from the IRS by submitting Form 4506 – for a cool 50 dollar fee, not to mention a lengthy wait of up to 75 calendar days before your request is processed. Ouch. If you need an actual photocopy of your return, you’ll have to bite the bullet and pay the price. But in many cases, you can obtain the same information from a tax transcript — for no charge and on the spot via IRS.gov or the IRS2Go app. You can also go the old-school route and submit Form 4506-T by mail. Expect to wait five to 10 calendar days for your transcript to arrive. The following list indicates the types of transcripts that are available. Tax Return Transcript: Available online and by mail, a Tax Return Transcript includes most of the information from Form 1040-EZ, Form 1040-A and Form 1040. A Tax Return Transcript is usually sufficient for applications from mortgages lenders and commercial student loans. Tax Account Transcript: Available online and by mail, a Tax Account Transcript includes basic information such as return type, marital status, adjusted gross income, taxable income, credits and payments. It also indicates estimated payments or prior year overpayments applied to the current year tax return. Record of Account Transcript: Available only online, a Record of Account Transcript combines information from the Tax Return Transcript and the Tax Account Transcript. Wage and Income Transcript: Available only online, a Wage and Income Transcript includes income date from W-2s, Form 1099 and Form 1098. Information for the current year is generally not available before July. Verification of Non Filing Letter: Available only online, a Verification of Non Filing Letter only indicates that you did not file a federal tax return for a particular year, not whether or not you are required to file a return for that year. Verification of Non Filing Letters for the current year are only available after July 15. Publication 17, published annually, is a searchable income tax guide that addresses questions such as who can be claimed as a dependent or whether you are eligible for the Earned Income Tax Credit. The Tax Map allows keyword searches for single-topic queries. The Tele-Tax line (1-800-829-4477) provides recorded information on a range of tax topics 24/7, with no wait. 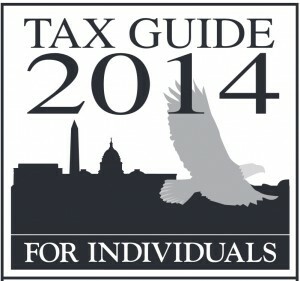 As the above list indicates, IRS.gov is a rich resource of information and assistance. Content on the site is updated frequently, including download links for nearly all the forms needed to file tax returns and carry out tax-related functions. You can resolve many of your tax-related issues efficiently by utilizing the tools available. If your questions aren’t answered there, you can always consult one of the experts at Optima Tax Relief to resolve your tax-related issues. 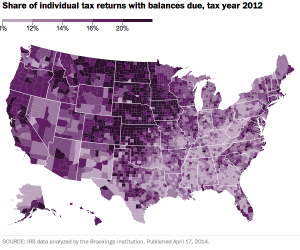 Statistically, your odds of being audited by the IRS range somewhere between slim and none. Very few people actually receive those dreaded notices. But there are circumstances that can boost your odds of being audited considerably. In many cases, honesty is the best policy for avoiding an audit. But sometimes, there is little or nothing that you can do to reduce your odds. 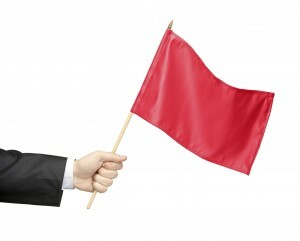 You’ve probably seen at least one list of common “audit flags” to avoid. For instance, tax returns for people who are paid largely or entirely in cash, such as wait staff, are often flagged for audits. People who make large charitable contributions (and claim large charitable deductions) may also trigger an audit flag. 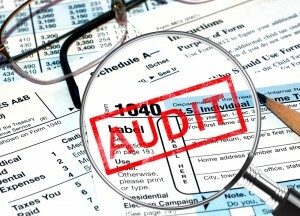 The problem is that many common audit flags are legitimate tax deductions or credits. For instance, if you are a consultant or entrepreneur with a legitimate home office, you’re entitled to claim the home office deduction. Likewise, if you are entitled to the Earned Income Tax Credit, it’s financially unwise to leave that money on the table. You may not even realize that you have tripped an audit flag. For example, according to a 2013 report from the IRS Taxpayer Advocate Service, an astonishing 90 percent of tax returns for adoptive parents who claimed the adoption tax credit were flagged for review. Almost 70 percent of taxpayers claiming the adoption tax credit were subjected to at least a partial audit. The take-home lesson here is that if your return stands out from the ordinary, you may very well trigger an inquiry from the IRS. But that’s no reason to skip out on legitimate tax breaks. Instead, maintain meticulous records so that you can justify your claims. Yes, it’s true, people really do turn in their spouses, friends and co-workers to the IRS, sometimes out of spite, but also from greed. The IRS Whistleblower-Informant Award pays informants up to 30 percent of all tax penalties and other funds collected as a result of provided tips. 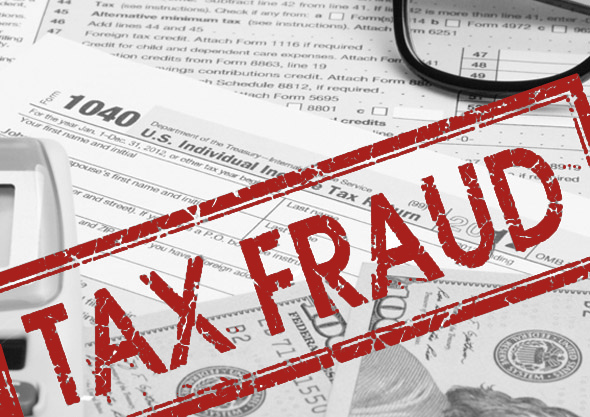 Even people who are involved in tax evasion schemes may collect rewards under the program. They must voluntarily provide information and their rewards may be reduced, but they still get paid. 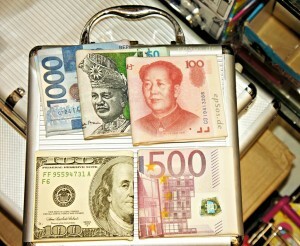 Do you do business with someone who has been audited? You may very well be next. At the very least the IRS may request clarification about your dealings with the person being audited. If your records are in order, you shouldn’t have any reason to worry. Requesting an automatic extension for time to file your federal income tax return does not count as filing your return late, nor does requesting an extension trigger an audit flag, so relax. On the other hand, filing your return after April 15 without having requested an extension does make your return more likely to be flagged for an audit. If you fail to file a return, the IRS may file one for you – minus many tax breaks to which you may rightfully be entitled. If you file a late return, the IRS will hit you with a hefty penalty of 5 percent of the taxes that you owe every month for up to 5 months. Ouch. If you are a wage-earner who files a return with W-2 forms and reports income of less than $200,000, your chances of being audited in 2013 were a miniscule 0.4%, according to Forbes. During the same period, the IRS audited the tax returns of 1.2 percent of entrepreneurs and self-employed workers who earned less than $200,000. By contrast, the IRS tagged 12.1 percent of taxpayers with incomes over $1 million in 2013 and 17.1 percent of taxpayers with assets in excess of $10 million. The IRS selects a certain number of returns for audit strictly by random. But the recession and budget cuts have reduced the number of random audits in recent years. The number of random audits was likely further reduced during 2013 because of the sequester, according to Forbes. If you have decided to join the sharing society and rent out part of your home,either through a service like AirBnB or independently, you have several tasks ahead of you. You’ll most likely want to spruce up the place with comfy furnishings and linens, and maybe a fresh coat of paint. You will also want to avoid legal dust-ups like Über, Lyft and AirBnB have recently experienced in cities like New York and San Francisco. And of course, Uncle Sam wants his share. 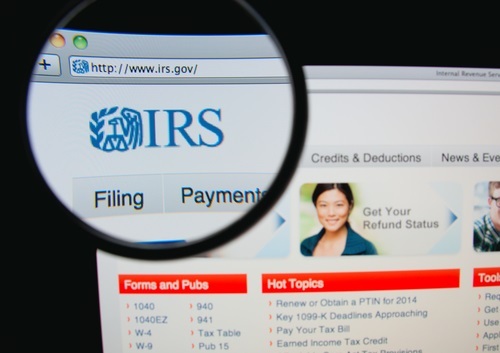 Running afoul of the IRS can potentially wipe out any financial gains you may reap from opening your home to complete strangers. Fortunately, you can reduce your potential tax bite – with diligent record keeping. The most convenient and potentially lucrative scenario would be to completely avoid reporting or paying income taxes on the income you earn from renting out your couch or your spare room. Well, you can, if you meet two relatively easy requirements set by the IRS. First, you must use the residence as a home at least 14 days out of each calendar year. Second, you must limit the time that you rent any part of the residence that you use as a home to 14 days or less each tax year. That’s it. If you live near the town where the All-Star game for a major sport is being played that year, you could rent out one room or the entire place for the week, rake in major cash and never report a dime on your tax return. Pretty sweet. But if a renter burns a hole in your floor, you’re stuck paying for the repairs. Should you exceed the 14-day threshold, matters become somewhat more complex. First, you must determine whether you or one or more family members resides in the residence or uses it for personal purposes for at least 10 percent of the time that you rent at fair rental price. You don’t have to be there at the same time you’re renting, but your time in the residence must equal at least 10 percent of the total rental time. The rules differ for rental properties that are used for what the IRS calls “personal purposes” rather than as residences. There are also different regulations that apply if you use the rental property as a residence, but don’t live there enough of the time for the residence to qualify as a home. To sort out those types of issues issues, consult with a professional such as an attorney with Optima Tax Relief. As a contractor with AirBnB living within the United States, you would complete Form W-9, Request for Taxpayer Identification Number and Certification. You would also receive Form 1099, Miscellaneous Income before you file your federal income tax return for the following year. (International contractors complete different forms.) If you operate as an independent, you will need to maintain your own records for rental income and expenses, preferably separate from your personal household expenses. If you provide sleeping space, but no frills, report income and losses on Schedule E, Supplemental Income and Loss, attached to Form 1040, Form 1040NR or Form 1041. If you splash out on fluffy towels, turn-down service, and catered breakfast in bed for your guests, report income and expenses through Schedule C, Profit or Loss from Business, also filed with Form 1040, Form 1040NR or Form 1041. In either case, you are also allowed to deduct the costs of repairs, depreciation (by filing Form 4562, Depreciation and Amortization), uncollected rents and actual operating expenses. But if a renter trashes the place and you file Schedule E, you would also need to complete Form 6198, At-Risk Limitations or Form 8582, Passive Activity Loss Limitations. If you’re not sure which form you should complete, consulting a tax professional is your best strategy. If you live in the heart of Manhattan or in a condo overlooking Lake Michigan in Chicago, you might think that setting your rents at bargain basement levels would help you beat the competition. 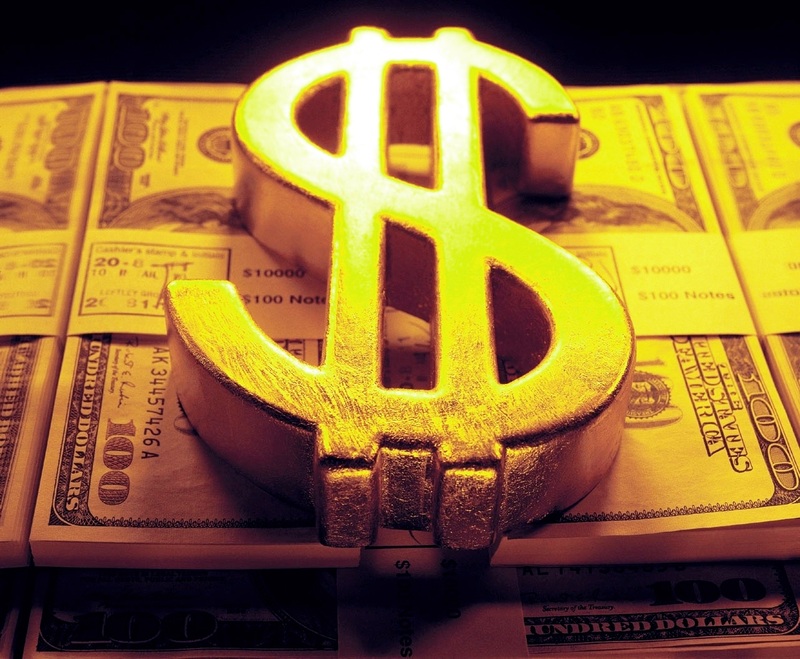 If you set your prices too low, you may well attract the unfavorable attention of the IRS. Otherwise, you could you could be hit by the so-called “hobby loss rule,” which prevents you from using losses related from your venture to offset other income on your federal tax return. 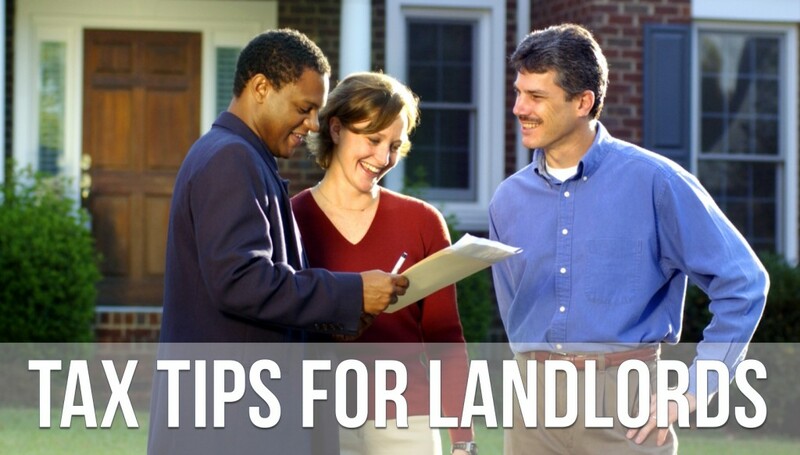 Instead, you use must losses related to your rental activities as itemized deduction on Schedule A. 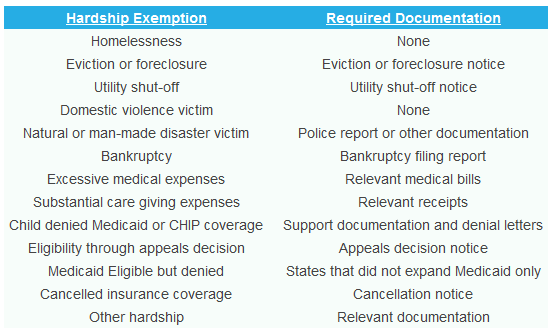 Deductions would be limited to the following strict limitations. Deductions such as depreciation and amortization are allowed only to the extent that gross income exceeds the amount of deductions taken for both of the prior two categories. This article is not intended to discourage you from renting space in your home or otherwise participating in the sharing economy. It’s a potentially exciting way to meet interesting people from all over the country or even other parts of the world. But just as you want your house or apartment to look its best, you’ll also want your financial house to be in order, too. That way you can concentrate on being the best host you can be, without being hit with unpleasant surprises at tax time. More than 5 million people have received subsides to help reduce their health care insurance premiums, thanks to the Affordable Care Act. For many of these individuals, these subsidies have meant the difference between being able to afford health insurance and going without coverage. But this good news has a potential drawback – possible delays for tax filers in 2015. 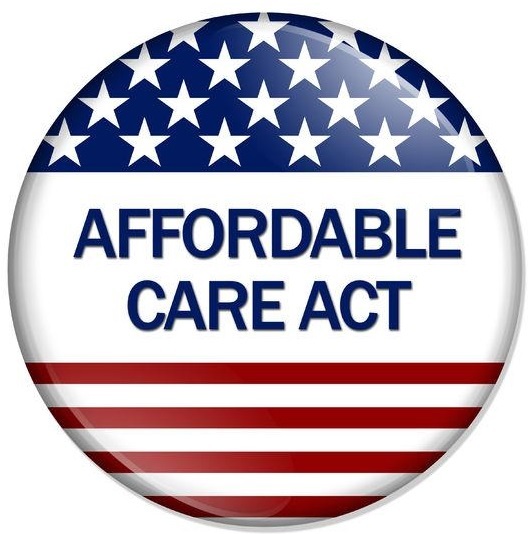 Under the ACA, individuals who are eligible for subsidies have the option to apply some or all of the credit directly to reduce monthly health insurance premiums for policies originated through the Healthcare.gov and state-administered insurance exchanges. As an alternative, eligible taxpayers may opt to receive the credit as a tax refund. But people who choose to receive their credits as a refund may have to wait even longer than they had planned to receive their cash. The IRS has developed two new forms in conjunction with administering tax credits for policies issued through federal and state health care exchanges: Form 1095-A and Form 8962. Presumably Form 8962 will be available on the IRS website as well as through public libraries and included in online and computer software tax filing programs. Form 1095-A is scheduled to be mailed to taxpayers by January 31, 2015. 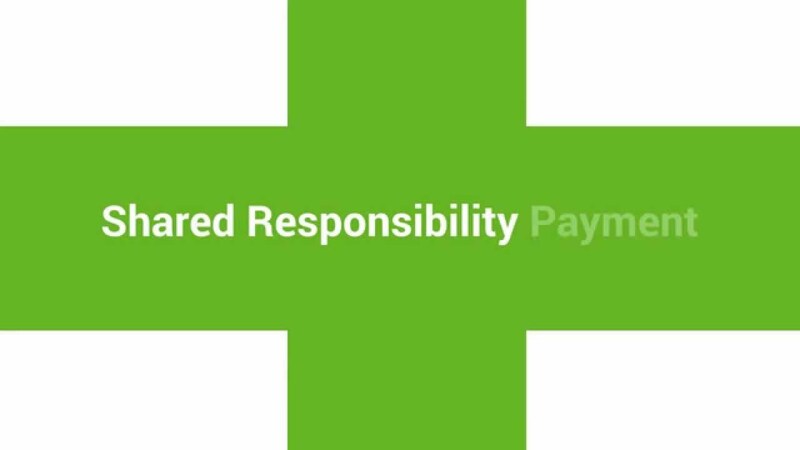 Form 1095-A provides information taxpayers need to report credits received or due to them through the ACA. In this respect, Form 1095-A functions much like Form W-2 for wage earners or Form 1099 for independent contractors, unemployed workers and others who receive non-wage income. Form 8962 functions much like Schedule A or Schedule C and must be attached to Form 1040, Form 1040A or Form 1040NR. As of September 2014, both Form 1095-A and Form 8962 are still in draft mode. Will There Be Delays in Processing Tax Returns? After the government shutdown in 2013, the IRS delayed processing tax returns for the 2013 tax year for several weeks. This delay had the knock-on effect of delaying the processing of tax refunds. 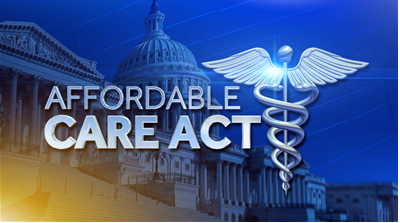 Further complicating the process is that open enrollment for health insurance policies scheduled to take effect during 2015 will also be underway through the Healthcare.gov and state exchanges during the same period. These factors alone could result in delays in processing tax refunds. If the final versions of either Form 1095-A, Form 8962 are not ready by the end of 2014, it is almost certain that the IRS will once again delay the processing of federal income tax returns. A delay in processing tax returns equals a delay in issuing income tax refunds, at least for taxpayers who file their federal returns early. Will Refund Anticipation Loans Fill the Gap? 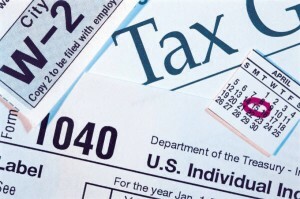 Many people who file their tax returns early expect to receive tax refunds that are often sizable. As of April 2014, the average tax refund totaled more than $2,800. 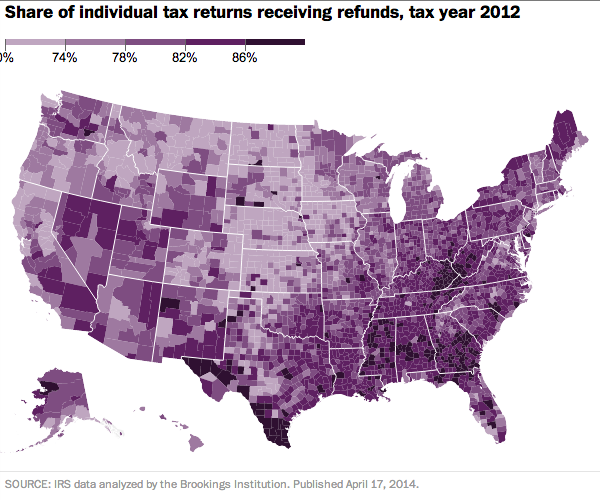 It is reasonable to believe that the average refund for the 2014 tax year could top that figure. Many low-income taxpayers are entitled to health insurance subsides equaling thousands of dollars. Delays in processing tax returns due to delays in issuing the final versions of Form 1095-A and Form 8962 could have serious consequences for such taxpayers, who often count on tax refunds to fill substantial holes in their budgets. For taxpayers struggling with limited resources, waiting weeks for federal income tax refund checks can cause serious hardship. Online filing for federal and state income tax returns and direct deposit for tax refunds greatly sped up the process – cutting the average wait time from six weeks or more to two weeks or less. As a result, refund anticipation loans waned in popularity. But if the IRS delays processing returns and issuing refunds for the 2015 tax season, such loans may very wall see resurgence. For its part, the IRS has not announced delays for issuing the final versions of either Form 1095-A or Form 8962. Also, since this is the second time around for the open enrollment season for the Healthcare.gov website, it is reasonable to assume that the process will go much more smoothly than the disastrous first few months. But taxpayers who are hoping to receive a refund next year might need to brace themselves for a potentially bumpy upcoming tax season.